One person who has been accustomed to making history is Lexi Thompson and this week will see her make some more in the Franklin Templeton Shootout, as she becomes the second woman to ever participate in a Greg Norman’s PGA Tour-sanctioned tournament holding at Ritz-Carlton Golf Resort, at the Tiburon Gold Club. When she was 10 years old, she had tried to qualify for the U.S. Women’s open at the Imperial Country Club. However, she didn’t go far as she ended up shooting a 77, which saw her dreams shattered at the local qualifier. Two years later, she finally qualified at the age of 12 and also over the next two years in 2009 at 14 years of age. She also tied for a 27th to qualify for an LPGA event. Jim Furyk, the 46 year old golfer, has PGA Tour Championships far and wide between. After winning the PGA Tour Championship at the end of the season in 2010, he has won just another tournament and that was in April 2015. The venue was South Carolina’s Harbor Town. Furyk suffered a wrist injury in 2015 that needed a correction surgery. Jim was in rehab and rest for about three months and has now played in just a few events in 2016. He said that his putting is good and wants to improve his overall game very soon to be highly competitive. Jim’s best performance so far this year has been at the Memorial in Ohio, where he reached the 17th place. This is the same place where he had won in 2002. Jim has a US Open win to his credit that he achieved in 2013 at the Olympic Fields in Chicago. He has also finished twice as runner up in the event. Oakmont hosted the US Open in 2007 and this was when Jim Furyk came very close to winning the title and fell short by just one shot behind the eventual champion Angel Cabrera. He recalled all the events that unfolded on that day when he participated in the tournament this year. He recalled that he hit three drivers on the final day Sunday to get to the green in less than regulation. All the three attempts made bogey. 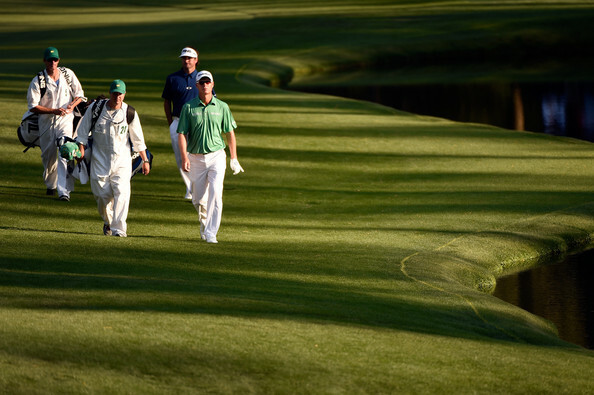 Jason Dufner called up an audible before going to the Augusta National Golf Club for Masters Tournament, this week. The 4 time PGA Tour champ and 1 time major champ worked most of the last thirteen seasons with caddy Kevin Baile, before he made a switch in February. Fountain City native and veteran caddy Josh Cassell is Jason Dufners caddie for Masters. Cassell, who is a Central High School graduate, told that he met Jason through a friend of a friend. A buddy of his had contacted him. He does not really know the specifics on Kevin. This is not for him to comment on. He is working for Jason for the rest of the year. Jason Dufner, who won the 2013 PGA Championship, denied an interview request with News Sentinel later on Tuesday. Baile denied another through social media. The twain spent most of the last thirteen seasons working with each other, save Baile’s 2013 neck injury which forced veteran caddy Adam Hayes to take his place for a short period of time. Jim Furyk won the RBC Heritage title at Hilton Head after defeating Kevin Kisner on the second play-off hole. The last time Furyk won a title was all the way back in 2010. 44 years old American professional golfer Furyk smashed the final round of 63, eight under par including six birdies on first nine holes, which helped him move ahead of Troy Merritt. Kisner also tied at 18 under after a birdie. After the first playoff hole both Furyk and Kisner went for birdies on the 18th. But at the end Furyk claimed the title and won the tartan jacket after dropping in his second shot at the par-three 17th from 12ft, which Kisner had come up short. While most of his peers have been struggling over the years with injuries, dips in forms or illness, including the legendary figures of Tiger Woods and Vijay Singh, Jim Furyk has managed to keep his body fighting fit, and with that, his game at a highly consistent level. Speaking to the press, the gentleman golfer said that he has been very fortunate on the injury front but admitted that he is in a sport where it can go at the snap of a finger. He added that if something happened to his back at this stage, it would be very tricky for him to come back from there. He mentioned that he had always been into workouts – it is something that not only keeps him fit but he feels good as well.